When inflation rises, businesses are being forced to raise their prices, banks are forced to raise interest rates in order to maintain a profit margin and higher rates means that marginal businesses will fail, thus increasing unemployment and harming the overall economy. 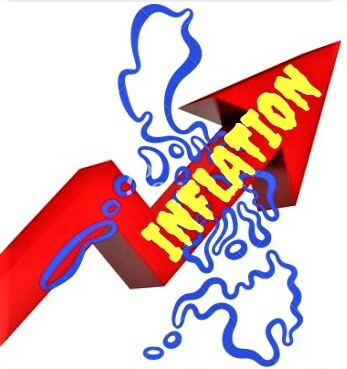 The Philippines is now facing a bad inflation rate when it hit 6.4% last August 2018. With the implementation of TRAIN law, slow GDP growth, higher importation but less exportation; our market is doing bad and the negative effects of such things are being felt by many Filipinos. A lot of people might have lost hope in saving or investing for the future since the Philippine market becomes unstable, especially those who are earning minimum wage. How can they invest or even save when their small income can only provide for their family's basic daily needs? Maybe, if there is one thing positive during this time of hardship is the reality that we, Filipinos should really start saving and investing for our future because inflation can hit us and hurt us at anytime. During Sun Life's Market Outlook and Bright Offerings presscon, I saw more precise and more detailed view of the Philippine market situation nowadays. Aside from opening our eyes to the many possibilities, Sun Life has also introduced offerings on how to somehow prepare for the harm that this high inflation rate might cause us. For people who are in doubt whether to save and invest or not, Sun Life now offers lower minimum investment. With only P1,000, you can invest in the Sun Life Prosperity Funds. Historically, the Sun Life Prosperity Funds have generated higher returns compared to traditional deposits. This allows you to beat inflation and achieve your long-term financial goals. Aside from lowering the minimum investment, Sun Life has also partnered with new banks for its Bills Payment Program. 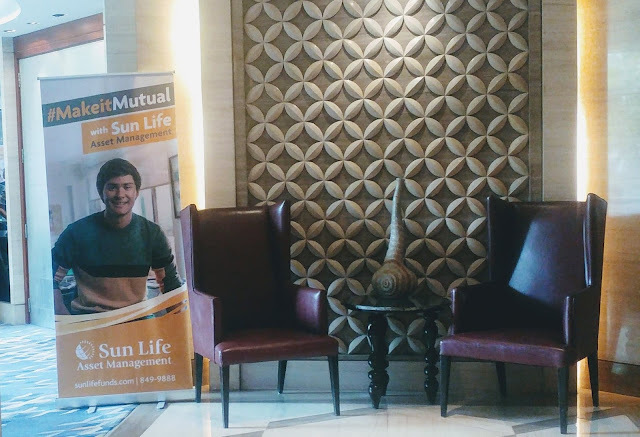 To make investing an even more delightful experience for the clients, Sun Life Asset Managment Company, Inc. (SLAMCI) has partnered with Banco de Oro (BDO), Bank of the Philippine Islands (BPI), and Metrobank. The Bills Payment Program enables clients to make additional investments in peso-denominated Sun Life Prosperity Funds via a bank partner's various channels such as online banking, mobile banking, automated teller machine (ATM) or over-the-counter (OTC). Convenience now comes at your fingertips. I am among the many Filipinos who are losing their trust in the Philippine economy because of the reality that hits me everyday. I have also lost confidence in saving and in investing due to the fact that the nightmares that happened in financial companies a few years back have a greater possibility to happen especially now that the economy is not doing well since the past year or two. But Sun Life made me realize that life is a gamble. You can survive if you don't gamble but you can't win the fight and you can't secure you and your loved ones future if you don't gamble into investments or savings. To gamble a thousand peso will not hurt my pocket. Aside from the fact that it will open up a lot of possibilities and opportunities, it can give me peace of mind while I work hard to provide for my family.